Isabelle Grace Products. Photos courtesy of Isabelle Grace. This post is sponsored by Isabelle Grace Jewelry. With so many people doing their part to make this world a better place environmentally, is it possible to find eco-friendly jewelry that’s attractive enough to wear on a date? It sounds impossible but we found a new line of accessories called Isabelle Grace Jewelry and if you’re worried about aesthetics, rest assured that their pieces will make you shine, sparkle, and bling out! Not to mention, they have been seen on Hollywood’s A-listers such as Katherine Heigl, Camila Alves, Lyndsay Price, Tamera Mowry, and Alyson Hannigan..
Just a little relationship advice: When wearing Isabella Grace on a date you not only get to wear beautiful jewelry, you have the added bonus of talking about your taste for environmentally friendly products. Earth Day is right around the corner. How is that for intriguing? So, when your partner comments on your necklace, bracelet or earrings, you can let him know that you care about quality (after all, you chose to be with him, right?) and to prove it, everything you wear by Isabella Grace is handmade in the USA. There’s no assembly line or mass production. Instead, the designs are made of the best materials and expertly crafted by people who love making beautiful things. 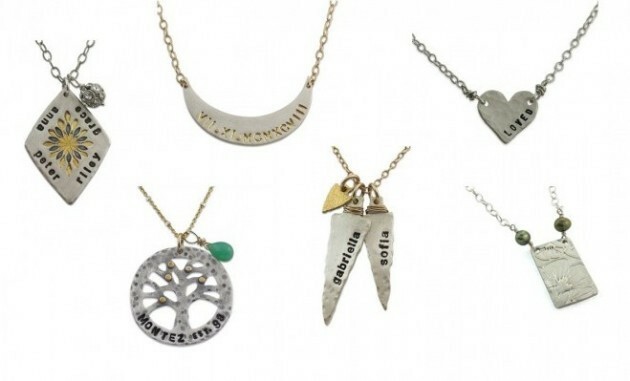 You can also customize your selection into a one-of-a-kind piece by adding names, initials, dates, birthstones and more. This personalized touch will let your partner know how much you truly care about your relationship, especially when he hears that prices are reasonable. That’s another relationship advice secret: find a line of jewelry that’s affordable. Why not buy a piece for yourself, ask for one from your partner or give it as a gift to your mother, sister or any woman you love? The wonderful thing is that it makes a great gift, no matter what time of year it is. Whether it’s a birthday, holiday, or a way to say “I love you,” it will be appreciated and cherished forever. For more amazing jewelry collections, visit Isabelle Grace Jewelry. You can also follow Isabelle Grace on Facebook, Twitter and Pinterest.